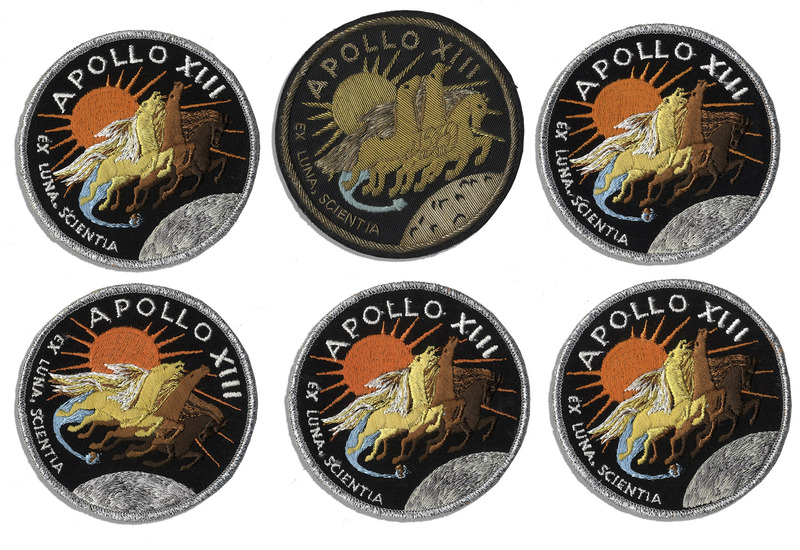 Lot of 6 official patches flown in space on the near-disastrous Apollo 13 mission in 1970. 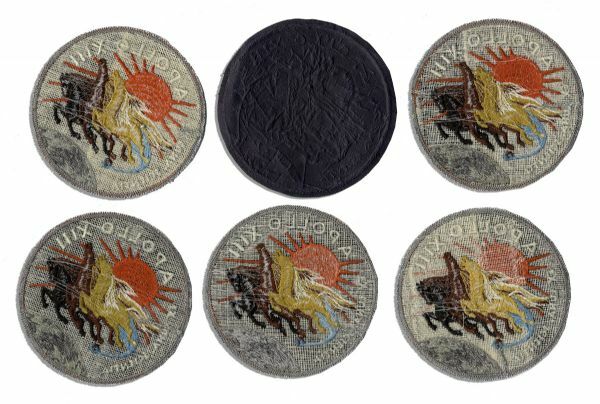 Round patches are embroidered with mission slogan ''Ex Luna, Scienta'', meaning ''from the moon, knowledge'' surrounding dynamic mission insignia: a trio of horses galloping over the moon. Five are identical, with embroidery in orange, yellow, brown, black, white and blue with sparkly silver border. The remaining patch is the same design but crafted in muted earth tones. 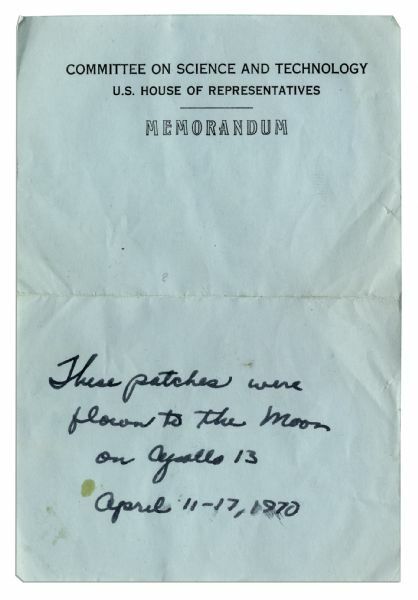 Accompanied by a handwritten authenticity note in Swigert's hand on U.S. House of Representatives Committee on Science and Technology letterhead. Each patch measures just over 4'' in diameter. Fine. 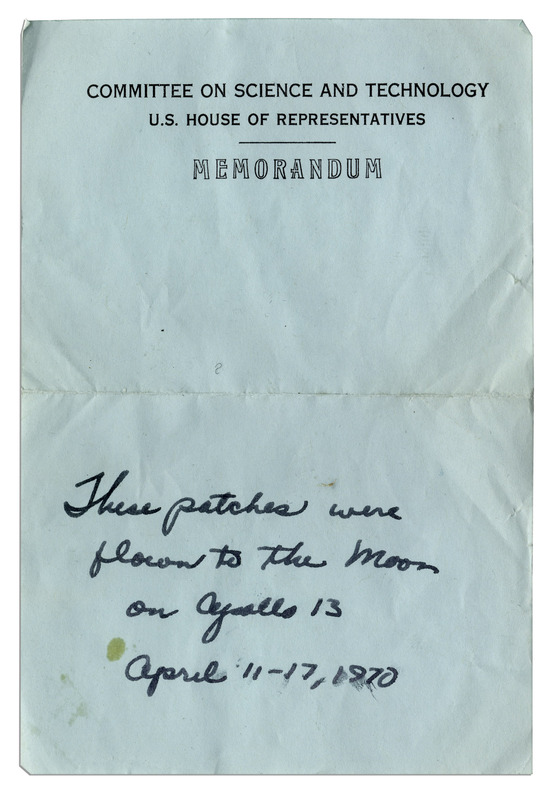 With an LOA from Jack Swigert's estate.